Marija started playing violin at the age of 7 and double bass at 19 in Belgrade, Serbia. After graduating on the double bass she spent some time in an elementary school as a music teacher and then took a permanent position as a double bass player with the Serbian Radio Television Symphony Orchestra for 5 years. 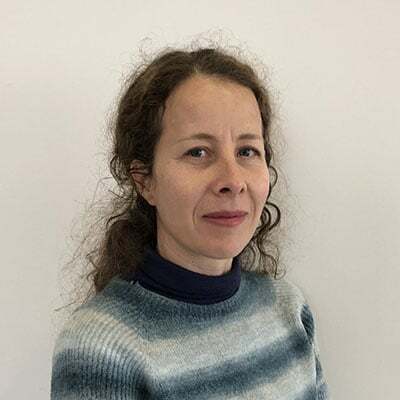 Upon arrival to NZ, Marija has worked as an early childhood teacher as well as the chamber/orchestra double bassist in various orchestras in New Zealand, including Opus, Orchestra Wellington and Christchurch Symphony Orchestra. Currently she teaches string instruments at Nelson College and plays violin in a gypsy jazz band. After becoming an early childhood teacher Marija became aware of the importance and the potential of early years and became very interested in Suzuki (mother tongue) method. She enrolled for several courses with the Suzuki Association NZ and plans to develop it further into the Early Childhood Music Programme. Marija believes that music is very important in those stages and can be crucial for development of different skills and good character. Marija also enjoys working with teenagers who can make fast progress and who are looking for new challenges to occupy their minds. She teaches children in traditional ways, trying to bring in more group playing, such as duets or trios. She loves orchestral playing and supporting students who are playing in an orchestra, helping them to go through their materials. NCMA and at her home studio in central Nelson. Marija is comfortable teaching beginner and intermediate level for violin, including very young students, starting from age of 3 to an adult level.